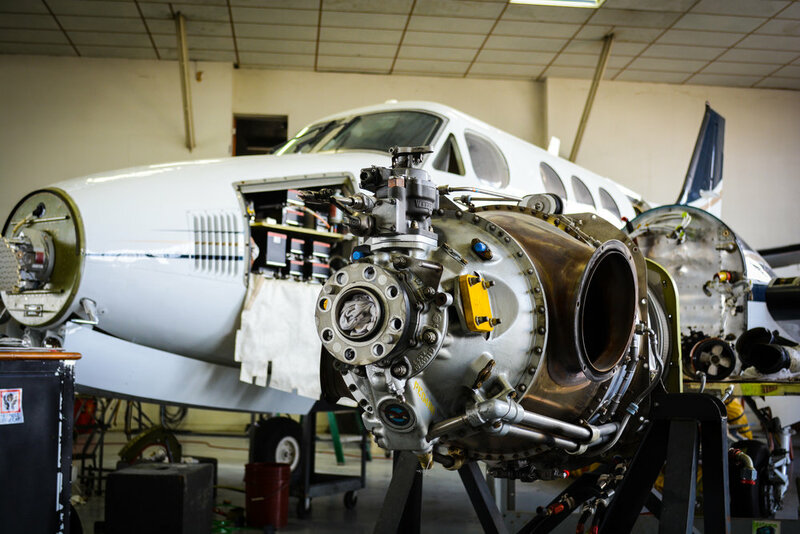 You will find when propeller driven aircraft repairs are necessary, our experienced mechanics are uncompromising in their commitment to have you back in the air as quickly as possible. This is Central's commitment to you - we've been making and keeping it for over 75 years. Our Prop Group team members have an average of 15 years experience per technician. And because we are an Authorized Beechcraft Service Center, we are particularly familiar with King Air Turbo Prop aircraft. If you have a problem with your King Air or other prop driven aircraft, rest assured that our factory-trained technicians have seen the problem before, and already know how to fix it. While you're in for any FAA mandated work on your aircraft you'll want to consider our award winning Avionics, Paint, and Interior Departments as well. We work closely with you to get you back in the air on time, and within your budget. One visit, and you'll understand why so many have flown with Central since 1939.
need fast, convenient, cost efficient detailing services while you're in little rock? Visit our professionals at tip to tail detail services.